Don't let the green color put you off because this is good stuff. The taste is smooth, it has a delightful aroma that will fill your home. It has a richness that is creamy yet does it does coat your mouth and leave a heavy feeling. It's mildy sweet so it does not over power your taste buds. It can be prepared as a cold or hot drink so it's just really up to you but it taste great either way. Eggnog Matcha, despite its name, does not taste at all like eggs but borders more on the taste of vanilla or even custard. 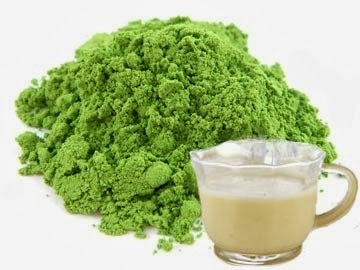 This taste is refined by the balancing effect of Matcha to make a mellow treat that is very pleasurable for the palate. Its thick creamy feel in the mouth makes it an easy favorite for those wanting to treat their palates to pure leisure and unforgettable pleasure. It can be an excellent companion to many snack alternatives because of its sweet base and sumptuous feel on the palate. Eggnog Matcha is a heavenly snack for those occasions where guests deserve to relax and enjoy a full bodied sensation on their palates. I received one or more of the products mentioned above for free using Tomoson.com. Regardless, I only recommend products or services I use personally and believe will be good for my readers.